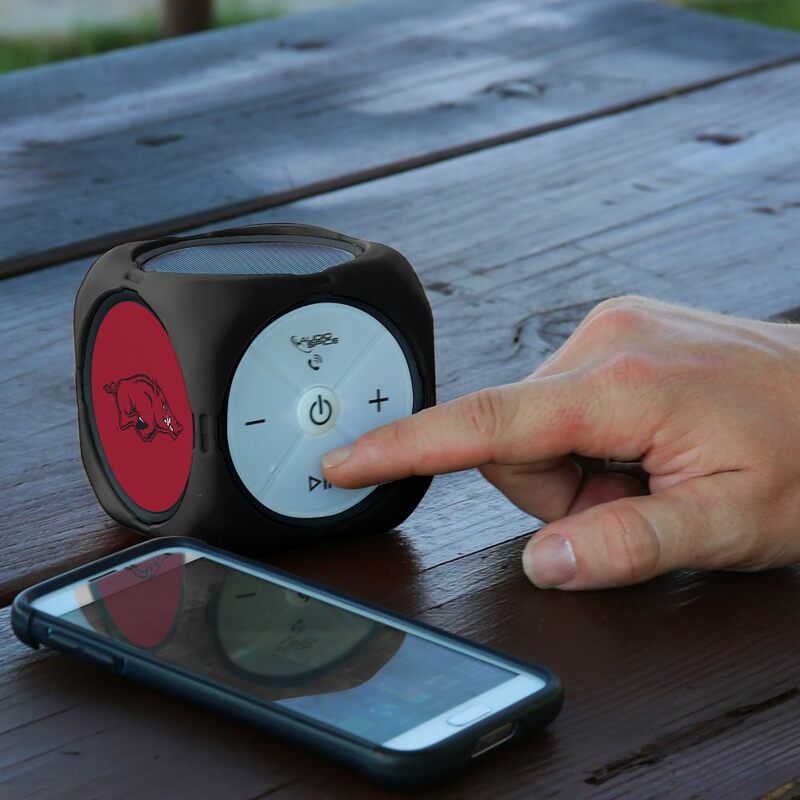 Jam out to your favorite tunes on the go with the portable MX-300 Cubio Bluetooth® speaker from AudioSpice. 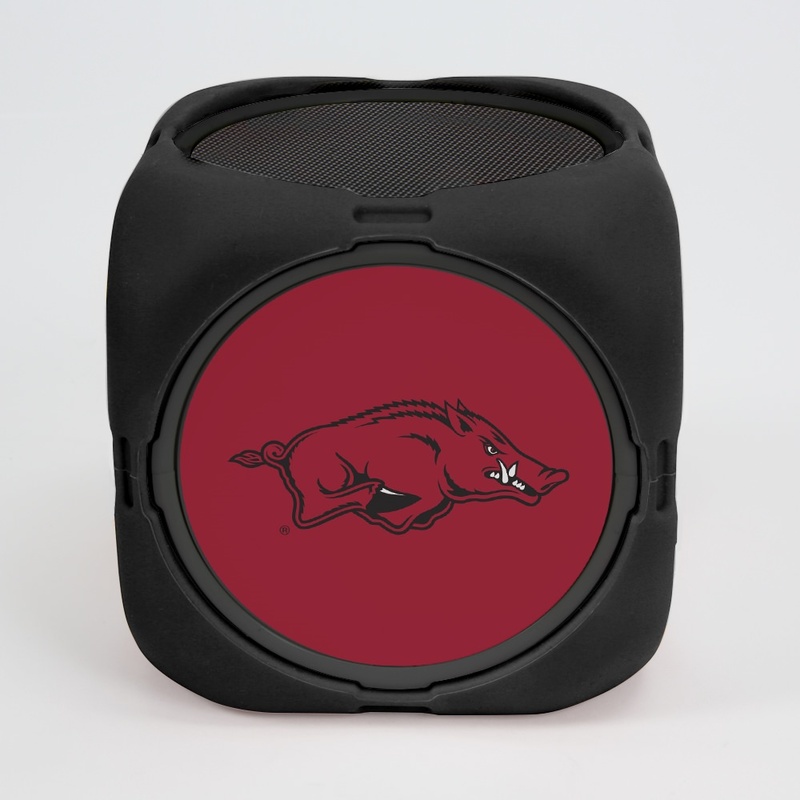 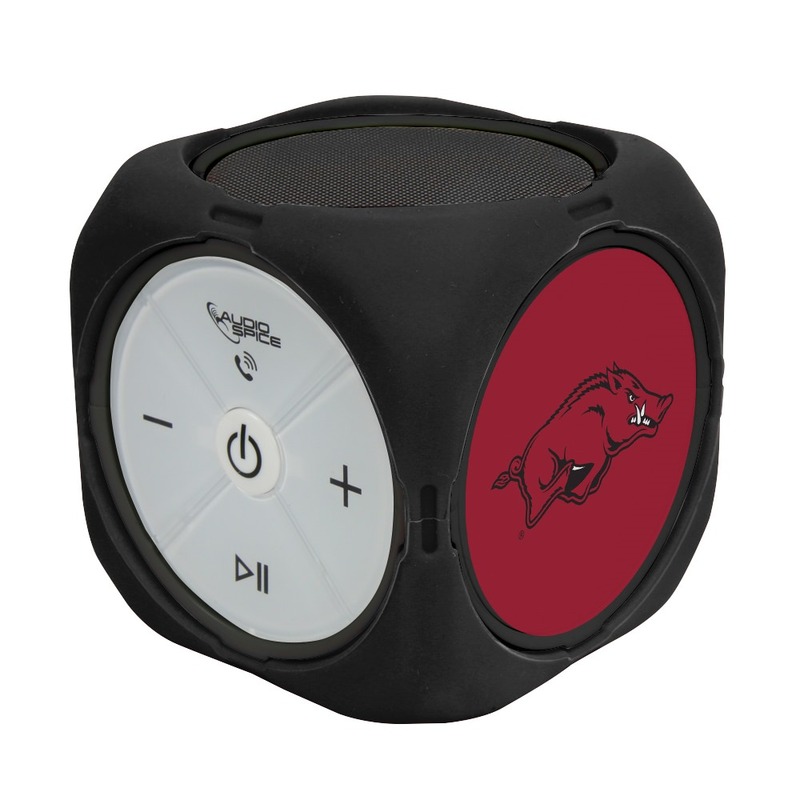 This stylish and durable wireless speaker yields premium sound quality and displays the Arkansas Razorbacks logo printed on the side panels. 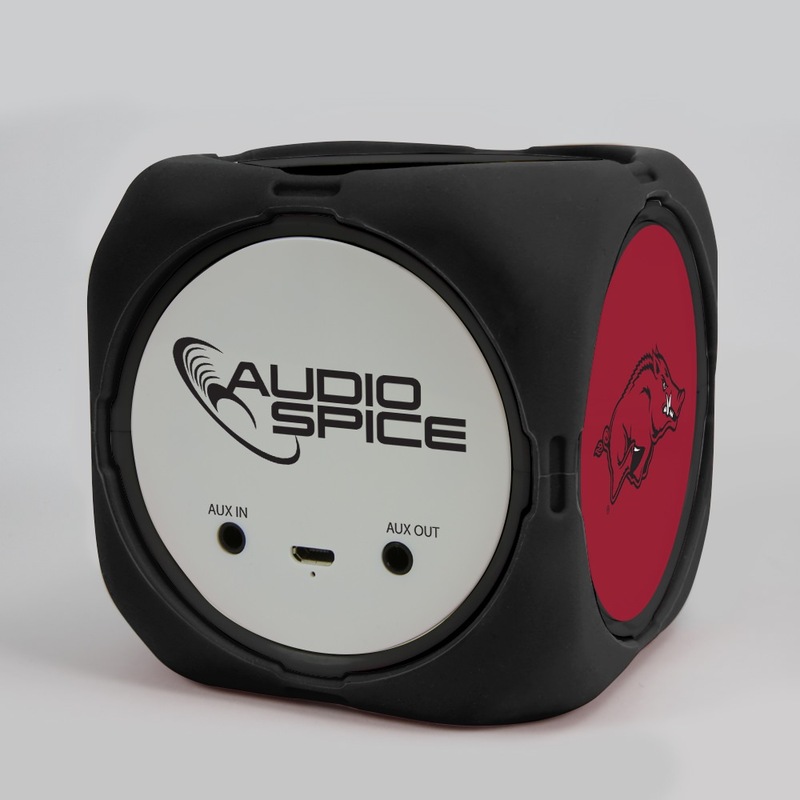 The simple interface makes it easy for you to blast great music while supporting your team. 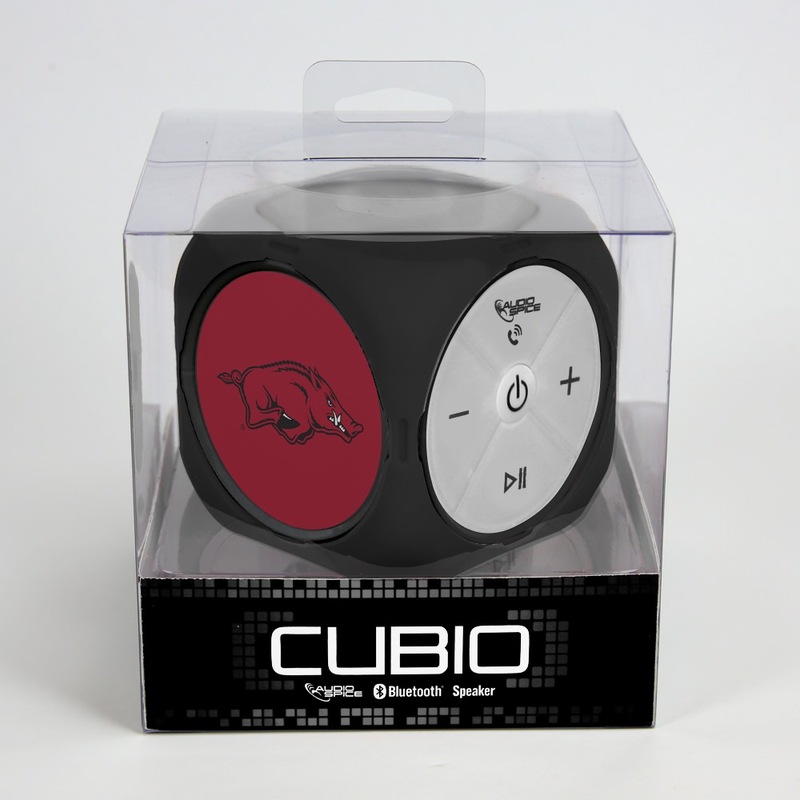 The outer rubber wrap protects the MX-300 Cubio, making it an ideal, portable speaker. 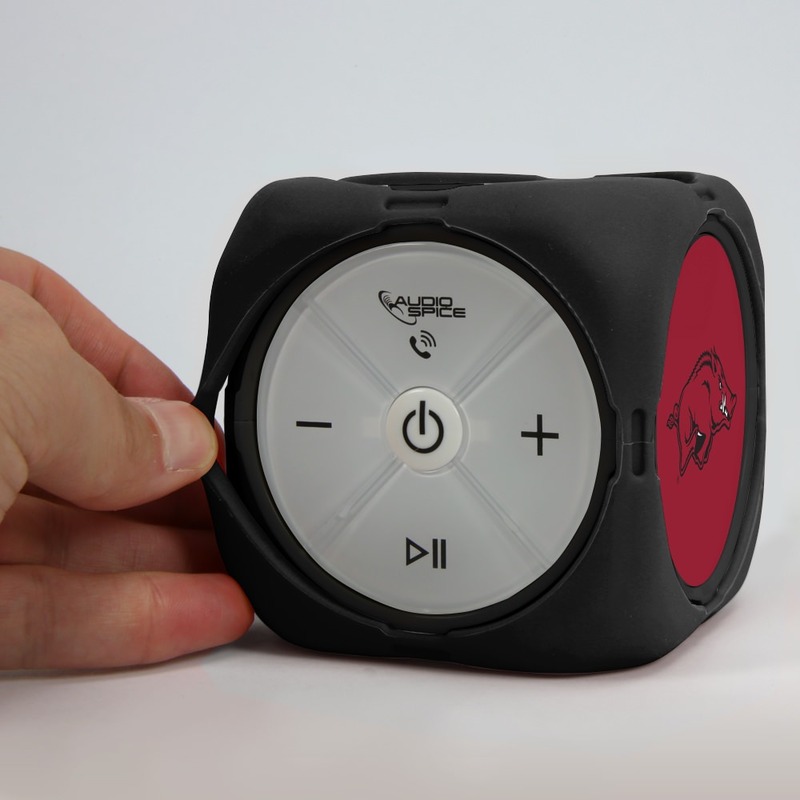 Just sync it, set it, hit play, and rock out!